Cliffhanger Solutions CEO John Boere is a sought after speaker in his area of expertise for conferences around the world. Over the years, he has worked on more than a dozen systems in 6 countries. On some of them, he has shared his expertise at conferences and trade shows. GIS data on a Sony PSP, why? Background maps: create, import or connect? The grid isn’t smart. Snap, yes he said it! Interested in having John present at your event? In this engaging presentation, John shows how he and his team solved 11 challenges by thinking outside of the box. 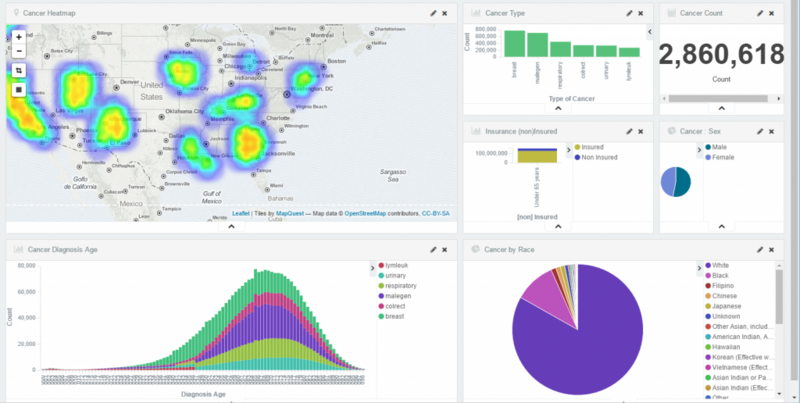 By building a patent pending search engine platform, optimized for geo-spatial and time-based data series, his team was able to solve problems that are not possible with traditional SQL based RDMS systems. 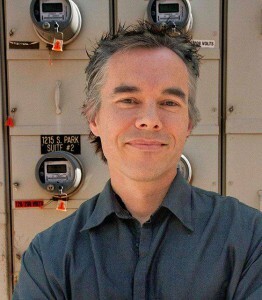 In an engaging presentation, John questions if the grid is as smart as many make it out to be. 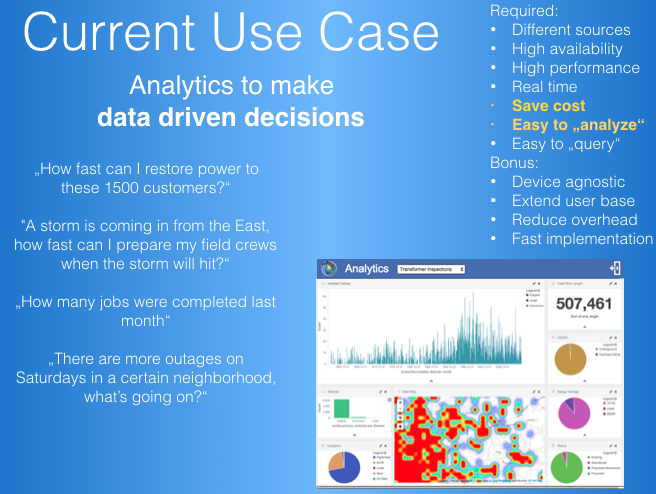 He argues that the grid isn’t smart until you find an efficient way to analyze its vast amounts of data. Proving his point, he presents several solutions to reduce and prevent outage times without the overhead of traditional solutions. 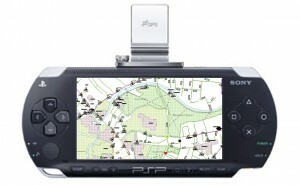 GIS on a Sony PSP, why? In early 2008, we looked at options for mobile GIS. This was before the Apple App Store or Android Market. Blackberries were still common, but screen real estate was tiny. Our kids had better handhelds! We decided to “borrow” their Sony PSP and successfully build a prototype. In this presentation, John discusses a number of solutions, that his team implemented at customer sites, to improve application performance, changing batch processes to near real time cloud bursting tasks, data compression, real time load flow analysis and cache generation, among other things. 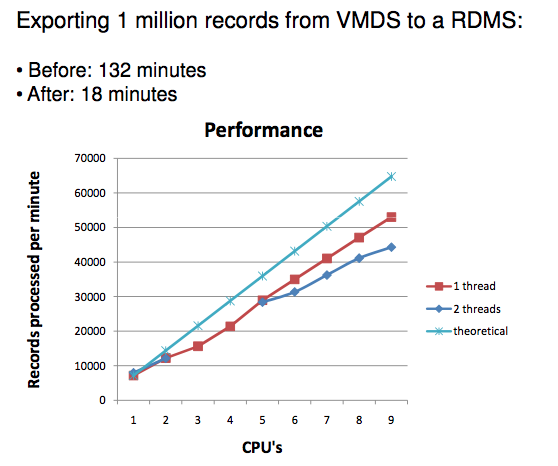 Will (distribution) design tools result in better designs faster than manually created designs? Not only show we the pros and cons of automated design, we also discuss the challenges for implementing such a tool. SRP’s Distribution Design Application (DDA) based on the GE Smallworld GIS platform, has functionality to assist with designing the electrical network. One of the tools, custom developed by SRP, allows for the placement of transformers within the design area. The idea is that with 1 push of a button, several scenarios are evaluated and the optimum design will be presented to the design engineer. The designer can then still make tweaks if needed. 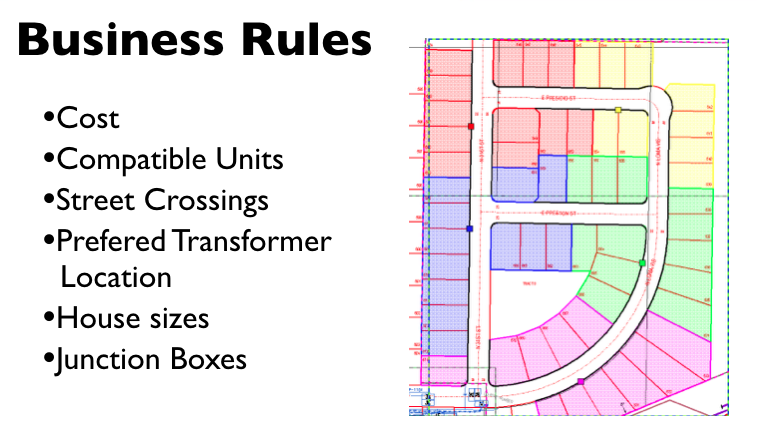 The tool takes into account business rules (such as minimum and maximum house sizes, the different transformers available and rules such as the preferred side of street that equipment should be placed on. 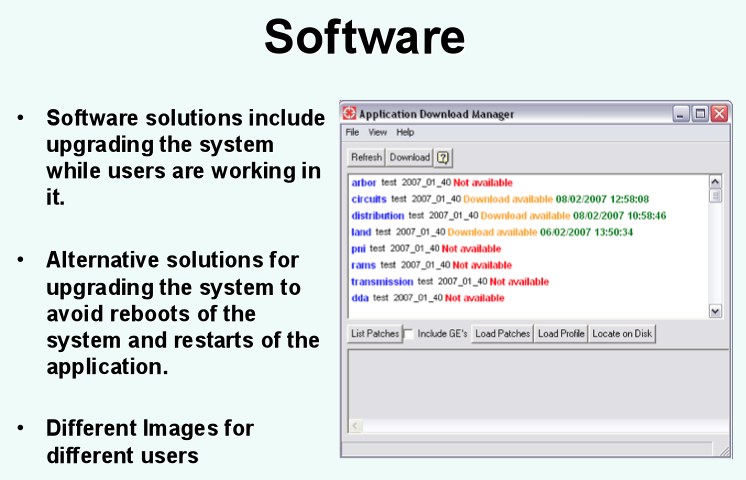 The tool places all the facilities in the GIS (cables, transformers, junction boxes etc.) This works great and will save the designer a lot of manual work, if the tool if fast and accurate. While working at Salt River Project, a utility company based in Phoenix Arizona, the proposal was defined to replace the classic “wall map” with a digital version. 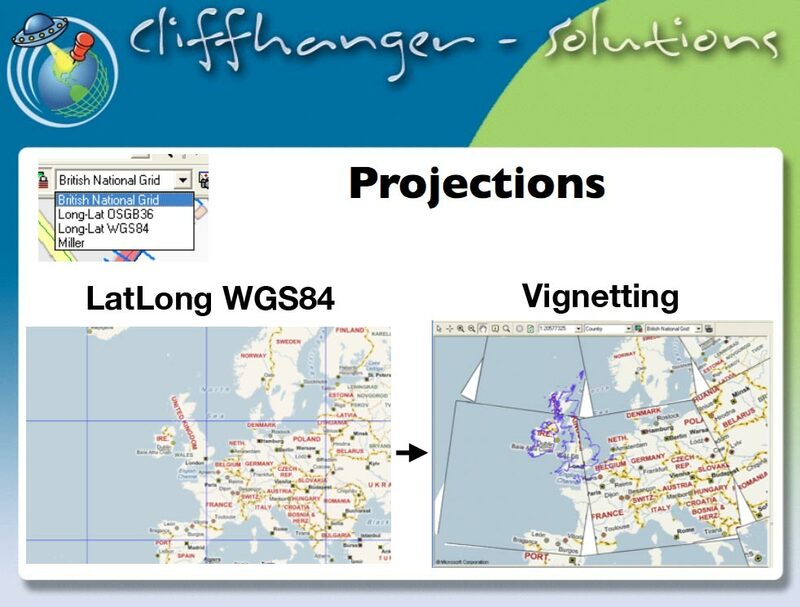 John and his team were tasked to implement an application to replace the ‘wall map’ with a GIS based version. It is used by dispatchers and specialists at the Distribution Operations Center, so extreme high availability was a top priority. We’re talking 24-7-365.